Our Guest Poster, Jennifer Wilson of No Place For Sheep, has some eye-watering images of the current régime rabble for your delectation. I’m afraid they will be seared into my memory forever. I don’t know if you’ve ever watched the sea lions at Pier 39 in San Francisco. I’m reminded of that querulous and stinking marine rabble whenever I encounter the Turnbull government in my media. The sea lions are a nasty bunch, and they fight a lot. 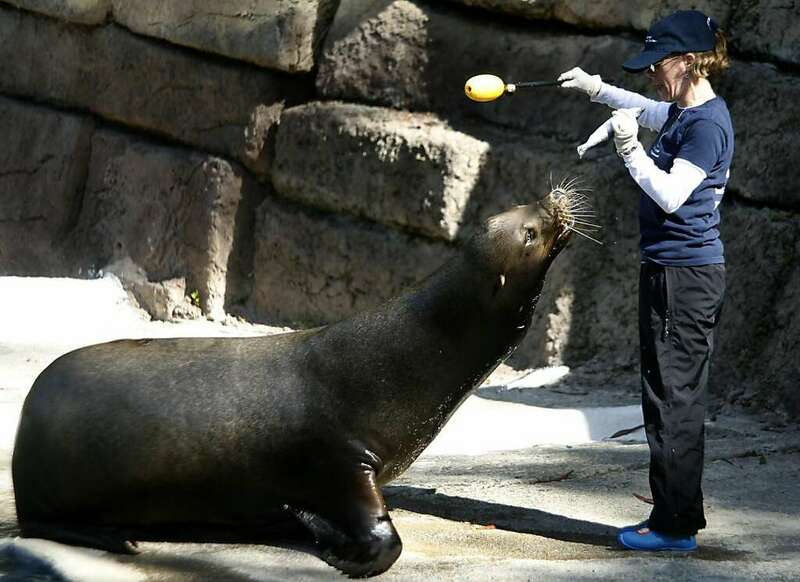 I now can’t picture Malcolm Turnbull as anything other than a self-congratulatory pinniped in a top hat, barking and clapping his flippers at his own cleverness as Lucy throws him a fish. While the PM hastened to reassure the country that he had “excoriated” his rogue MPs (including ministers) who left parliament early on Thursday afternoon, the real issue is not that the LNP have taken this event as “wake-up” call for their one-seat majority government, but that such a call was needed in the first place. Surely someone (a staffer, one of Dutton’s ninety, yes that’s ninety spin doctors) could have reminded the government that with a one-seat majority, everyone really needs to stay till the end. That seasoned politicians holding powerful positions (and, apparently, their entire staff) need such a fundamental “wake-up” call is worrying indeed. What it confirms is what I’ve long suspected: the LNP perceive governing as a game weighted in their favour that they are entitled to win, without any particular merit, or even by actually playing it. Any challenges to these perceptions are dismissed as little more than the grumblings of opinionated upstarts. Turnbull’s first sitting week after the election was woeful. First thirteen of his backbenchers defied him on the matter of Section 18C of the Racial Discrimination Act. Next, for the first time in some fifty years, the government lost three votes in the House of Representatives because of the Thursday bunk-off. Thankfully, they’ve now gone home for a few days. On the matter of Section 18C, it’s interesting that the cohort advocating a “watering down” of the section are those who are the least likely to ever need the protections it offers. Read this piece by Jeff Sparrow on the co-option of speech laws for their own benefit by those who have no skin in the game. Similarly, those most vehemently opposed to marriage equality are those who can in no way claim to be, in reality, affected by it. (If such people are seriously concerned about a perceived debasing of the institution of marriage, they urgently need to make infidelity illegal. Imagine that). I think it’s safe to say that politics has ceased to be much to do with good and fair governance, and is now almost entirely to do with the furtherance of the interests and ideologies of largely (and sometimes large) white men. In this they differ little from the sea lion colony in which the dominant males rule in their own interests, biting great chunks of flesh out of dissenters and shoving them, bleeding, back into the sea. It’s every pinniped for himself. They even savage the young, and the ones with the loudest bark win. Just finished watching The Checkout. The first ten minutes you will not want to miss. Some “I’m Not Leigh” interviewed Mark Dreyfus on 7.5. They should have shown him on his way out with his tail between his legs. I went to see my GP today. There’s nothing wrong, it was simply what Sussan Ley and the Fizza government tell me is a ‘routine administrative’ task. My six months worth of prescriptions for blood pressure tablets has run out. To get more I need to see a doctor. Ms Ley thinks I should just send an email or a text message to my GP when I need a prescription renewal. I’m supposed to say ‘Hi Steve,I’m out of drugs. Please send new prescriptions for xxxxx ASAP. Many thanks, Leone’. Ms Ley does not seem to understand that doctors need to see patients to assess their needs and see if any changes to medication are necessary. We are being made to feel like burdens on the health system simply for trying to manage health issues. Many serious health issues have no symptoms, but an annual blood test can and does find them. I know that because I’m dealing with a few issues that were diagnosed when my GP decided to add a few extra things into an annual blood test. It’s all being controlled now and i’m very, very glad he decided to check those thins. Ms Ley tells me such tests are not needed. She also thinks we don’t need CT scans because X-rays are just as good. She might like to have a chat with my rheumatologist about that. Ms Ley has set up some sort of advisory group to tell her all this crap, obviously carefully chosen to include only persons who will tell her what she wants to hear. Much the same sort of thing as Fizza’s Productivity Council telling him more spending on education is not getting results. Even the Baird government couldn’t swallow that one. Why should people, especially us oldies, be denied regular check-ups and tests? Why should we have to wait until we snap a bone. or have a stroke or develop full-blown type 2 diabetes before we can have medical help? I’m all for preventative medicine. To me it makes much more sense to have a yearly blood test and check-up, to diagnose any new problems before they become serious, rather than refuse these things and wait until we fall in a heap and need hospital care. Here’s someone else who is doing it far tougher than I am. Re Jon Faine, I wonder whether there are darker forces at work. Like, toe the line or lose any entitlements you might have accrued over the past however many years. Or other threats. I have always regarded him as a person of integrity, not afraid of the hard questions, the difficult conversations, etc., and also remarkably empathetic with very challenging situations. Haven’t listened much this week, but from what I’ve heard I am seriously worried. If my suspicions are correct – and I hope I’m wrong – I do wonder how he will live with himself for the rest of his days. Very much agree re Faine.. “They” must have found a way to apply the squirrel grip on him judging by reports on his recent efforts. To be honest, I wish he’d just get the hell out. Deeply disappointing to see one of the good guys apparently suborned. Given the lovefest between the Coalition and the AFP and various organs of security since the NE my paranoia dial is pushing towards 11. .There is no line the Coalition wallah are not willing to cross. Eleven only? Mine’s up to 13! Why should people, especially us oldies, be denied regular check-ups and tests? Because – unfortunately – we are not surrounded by ice-floes inhabited by hungry polar bears. For some reason, penguins just don’t cut the mustard. On New Year’s Day 2010, sometime in the wee sma’s, a spider bit my left index finger. Approximately 16 hours later, when my initially sore finger was really throbbing and turning a charming shade of purple, OH ferried me to our home away from home, the emergency department at the Austin Hospital. I was admitted very quickly, and after various tests including bloods was admitted into a ward, and lots of antibiotics were pumped into me. The op happened late the next night and – according to my surreptitious reading of the notes – involved flushing out the infected tendon with copious saliva (OK, I misread it – it was copious saline). Several patches of necrotic tissue were also removed. I was there for a week – intravenous antibiotics every six hours; having to ask the kind nurses to fasten my bra after showering; getting one superb nurse to brush my very long hair until it was free of knots. 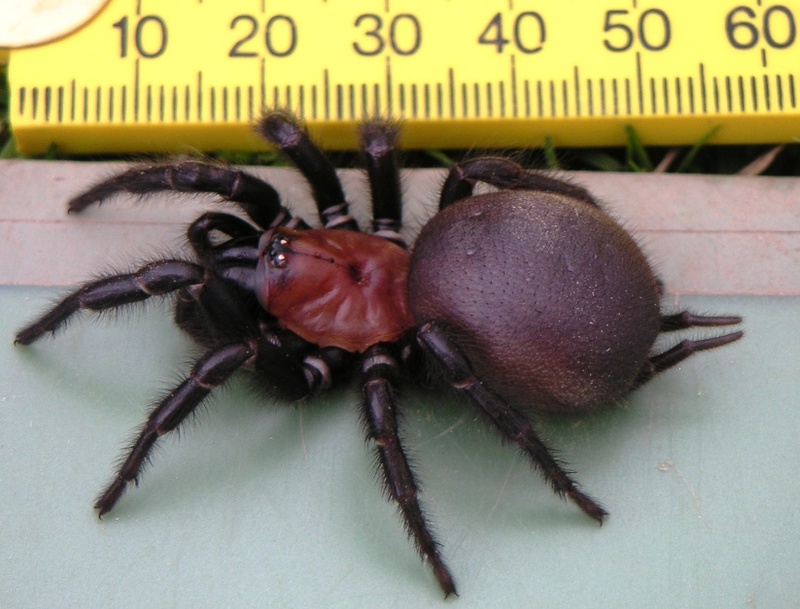 Two days after getting home – another hot Melbourne night – I was quietly reading in bed when a common house black scurried across my book. The book went overboard, I seized a shoe, and demolished that spider. I’m sure it was the offending creature – the risk with spiders is not always their venom, but almost always the interesting collection of bacteria they have in their jaws. Six years and eight months on I still have a weird lack of sensitivity/excessive sensitivity in the top joint of my left index finger. I feel less guilty now over the aracnicide I committed two days ago. LOVE spiders. Won the 1973 Auckland Secondary School Science exhibition with my display on the blighters 🙂 Star exhibit was a monster one of these. For some strange reason, no spider is welcome in my bedroom. Spiders have their place and yes it is OUTSIDE !! Fresh from a good kicking by Northern Territory voters, the Country Liberal Party dusted itself off last night and had another go at democracy. But local operatives must have still been groggy from their 16-seat-down-to-two-seat drubbing, as they stumbled in the first round and failed to install former chief minister and Liberal bigwig Shane Stone as CLP president — despite his ample backing. Party faithful were today scratching their heads at reports of last night’s “unbelievably bizarre” meeting of the party’s central management committee. Yet again, they say, brawling wannabe CLP supremos defeated themselves. Stone, who memorably told The Australian only a week ago that “the hallmark of a CLP member was the bloke you could ring to come and scrape the dead dog off the road”, had offered to return and preside briefly in order to instil some discipline in his flailing brood. The idea of putting a guy in charge who directly connects ‘say’ and ‘do’ ought, according to many, to have been manna from heaven to the North’s beleaguered centre-right force. Stone is seen by some as divisive, but nothing compared to former chief minister Adam Giles with his the-end-of-your-career-is-the-start-of-mine comments made just hours after the election left his party in smoking ruins. And besides, when your two MPs are outnumbered by independents, out of love with electors and each lugging a galaxy of shadow portfolios, a few peaceful days spent scraping dead dogs off roads could be considered a luxury. Current CLP president Victoria Mencshelyi, still reeling from having to confront questions about masturbating MPs and other scandals through two fraught campaigns, would step aside and Stone step in. It seemed simple, once the numbers were done, but it wasn’t to be. For starters, defeated Member for Sanderson and ex-deputy chief minister, Peter Styles, is widely believed to have designs on himself as the Top End’s version of Campbell Newman, ruling imperially from outside the house. Styles, who was routed despite forcefully predicting he would survive August’s poll, is better known among his colleagues for running than for winning and may not stand again. But his ambitious wife, Linda Fazldeen, is understood to covet both Nigel Scullion’s Senate spot and Luke Gosling’s federal lower house Darwin seat. A successful Peter-for-CLP-president campaign would greatly assist her political career. The “Peter and Linda” mob late yesterday staged their own professionally-mediated strategy meeting, according to party sources unsettled by being cut out of that particular loop. The management committee meeting, scheduled for 6pm, was moved forward to 6.30pm to deliberately conflict with 7pm branch meetings elsewhere so a key “Peter and Linda” loyalist couldn’t attend, it has been claimed. The precise details of what went wrong remain hazy, but apparently, about 20 minutes in and after unsuccessfully trying to maker her resignation conditional, Mencshelyi announced she was in possession of new information received via SMS and abruptly shut the meeting down. The idea someone not part of the CLP’s innermost committee could steer the president remotely upset more than a few. Neither Styles nor Stone returned calls and Mencshelyi declined to discuss what had occurred. The Australian has been told Stone, who had previously brushed off speculation his appointment might be characterised by local media as an “old guard” man ousting a woman, received a text message from Mecshelyi’s husband, another plausible future Senate candidate, that caused him to secretly pull out. Why he could not discuss that openly with his CLP colleagues remains unclear. Others continue to see the veiled hand of “Peter and Linda” in what transpired. On election night Country Liberals blamed disunity for their side’s defeat, but within days were privately blaming each other for failing to learn lessons and instead working to capitalise personally on their party’s loss. Controversial former Treasurer Dave Tollner once described his party as a “nest of vipers”. http://www.theaustralian.com.au/business/wall-street-journal/pope-francis-culls-cardinal-george-pells-powers-over-vatican-finances/news-story/677081101acfa74df4a60191cb6559c0 paywalled, google the title or URL & click through. Its a longer article from the UK Times. Sorry, not The Times, Pell article was originally from the Wall Street Journal. Was bitten by a Redback many years ago. Very worried about what might happen.I am allergic to bee stings but European and paper wasps are Meh. Most worried as it was an end of year do coming up in a couple of hours and I might miss it. The active vent-crater at Mt Ruapehu is occupied by a crater lake. Recently the lake has been cooling and we even discussed the possibility of new record low temperatures. The Crater Lake displays temperatures that typically range between about 15 and 40 °C. The lake has cooled to a minimum of 12 °C (15 August) but has now started to heat rapidly. GeoNet obtains temperatures from the lake using a data logger with a temperature sensor in the lake and communications via a satellite link. Assola with the drum on Abbott’s latest foray – this time on political donations. Well well. Cory Bernardi has his own questionable fundraising body. Jeff Kennett does a Credlin and can’t name a single achievement of the Turnbull government. Michelle Grattan has similar thoughts as she reviews Turnbull’s last 12 months. George Brandis! Show us your chits! Hilarious. Grattan on how Shorten will pursue political donations reform next week. The US unveils another top class presidential candidate. The SMH endorses Clover Moore for four more years. Obama lines up Trump’s “wacky ideas”. 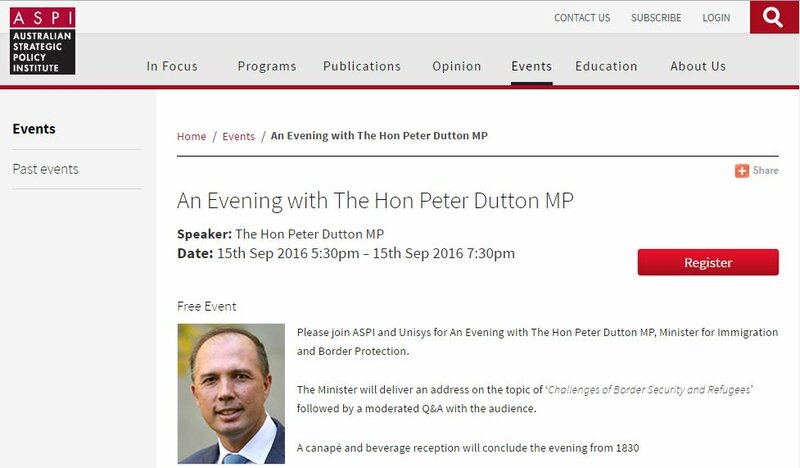 Obviously Dutton’s heart hasn’t been in his work. Tensions between APS unions and the government continue to rise. Of course the lovely Michaela Cash is right in the middle of it. Google. It’s been a stuff up from start to finish. The JSCEM looks like it’s straight out of “Yes Prime Minister”. The clock is ticking for One Nation Senator Culleton. There is a High Court challenge that is calling for his dismissal and a fresh election in WA. Google. Glen Stevens is experiencing some discomfort over the price of Sydney housing. The Australia Institute attacks the government’s plan to abolish welfare supplements. Here’s a good article on politicians’ use of “Christian morality”. Greg Jericho gets down into the detail of the latest GDP figures. The Marist Brothers have really been exposed in the Newcastle case study by the CA Royal Commission. The current head of the Marist Brothers in Australia did make a profound apology and made a commitment to support the remaining survivors. His Honour Peter McLellan paid tribute to the Newcastle Herald whose intrepid investigative reporting on which he said was much responsible for the establishment of the Royal Commission. A former headmaster, Brother Christopher, did not fare well. Brother Christopher – a shocker. Stephen Koukoulas rejoices over further significant reduction in smoking rates since the introduction on plain packaging. Max Chalmers says that when Turnbull and his ministers say asylum seekers are receiving “outstanding treatment” they are lying. How to upset drivers in one easy lesson. How Apple has lost its mojo. Trump goes troppo and says things that would sink any other presidential candidate. 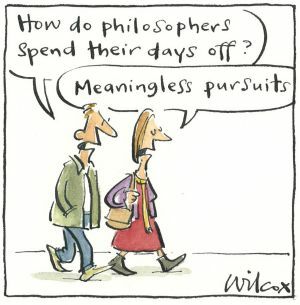 Cathy Wilcox on the philosophy of RDOs. Mark David takes us inside the Coalition party room. And he has a corker on SSM progress. 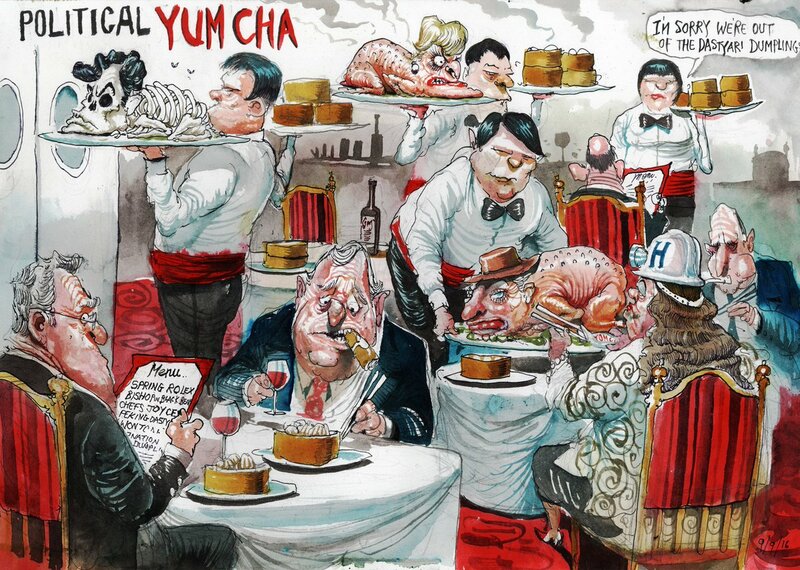 David Rowe takes time out for political yum cha. David Pope with a reminder to the government about political donations. Andrew Dyson has his say on donations. Ron Tandberg with Sam Dastyari’s departure. A beauty from Mark Knight taking Mesma and Mr Vibble Vobble to the footy. Ms Ley is mad. No doctor we’ve ever known would issue a script without seeing us. Maybe a one month one to tide us over but no more. Razz has to go every month for a couple of the scripts she has to get on authority, and no doctor will prescribe them without ringing for the authority. I have a ‘condition’ that I have to have blood test every three months, and one lot of tablets that I have to get a script for every two months. I guess if we are all deprived of these things, we’ll just all up and die, and this mongrel mob would be very happy. Same here. My doctor will give me an emergency prescription, if necessary, but I still have to go and see him as soon as possible. I used to think Howard wanted the old, the sick and the disabled to just go away and die in a ditch so he could boast about saving money. Nothing about this government is any different. They are even worse because they keep telling us we are a burden n the budget bottom line if we need a doctor, or can’t find work, or are old, or have a disability. No surprise but I thought describing the company as having “links to the Chinese government” was compulsory or is that just for Dastyari ? “Quizzed again on why he asked Top Education Institute to meet the travel overspend, Dastyari said: “I didn’t want to pay the bill”. And he ended up having to pay it anyway, the stupid fool. Dastyari was doing what they all do, for once the public perception of ‘all politicians are the same’ is pretty much spot on. How is that ‘I didn’t want to pay’ attitude any different to this? And why are our politicians now so entitled that they can’t understand why they should pay for things out of their own pockets. It’s not as if they are struggling to make ends meet on the average income. George Brandis tries a lame excuse- ‘I was not aware’. That might have worked if Brandis had been a rookie minister, not yet used to the way things are supposed to be done. But Brandis is not a newbie. He’s supposed to be an eminent legal brain, our top lawyer. For an AG to fail to scrutinise candidates for a very important position can only be described as a gross dereliction of duty. Karl Stefanovic and Albo, both laughing at Pyne on national TV this morning. You know it’s all over for the government when a once-friendly talk show host openly mock you in front of the cameras during an interview. I hope you’re right, leone. Somehow, I don’t think so. Grinning here this morning, Julia Gillards AFL team thrashed julie bitchops team last night. The reverse of what everyone was expecting. Yipppeee. I remember having heard that Gough W. used to get free chocolate bars in cinemas. But then that was Gough. Gough was a god; free chocolate bars were fitting tribute. North Korea is suspected of carrying out its fifth test of a nuclear bomb, after a magnitude 5.3 earthquake was detected close to its test site. It quoted an unnamed South Korean government source as saying the tremor was highly likely to have been a nuclear test. But the point remains the same, although the figures are twice as bad as the government would have us believe. And Pyne getting done over by Stefanovic this morning. They didn’t think this one through at all. Looking for a quick scalp and trying to drive a wedge through the ALP. Not sure where it’s going to lead yet, but it does have the potential to do things to Turnbull that’ll make Utegate look like a rehearsal. Tony Everywhere this time on Super. Tony is still following Kevin Rudd’s ‘How to get revenge’ handbook to the letter. In fact, he’s doing more than Kevin ever managed. Tony is making the most of Turnbull being overseas. Every day there’s been another interview, another speech, another idea put forward and every time he has managed to insert criticism of Turnbull or a challenge to Turnbull. Tony even managed to squeeze in a bike riding stunt, just to remind us that he is still fit and active while Turnbull needs nanna naps every afternoon. I think there has been more MSM coverage of ‘What Tony’s doing’ than there has been comment on Turnbull. The msm will not go very hard on toxic contradicting turnoff, everything will be painted as rosy between the two, nothing to see here. Jack the Insider has a look at the Dastyari kerfuffle. Is the Kitchen Cabinet a “Bermuda Triangle for politicians ? Dastyari is a very good retail politician with a deep connection to what is the Australian electoral jewel in the crown — western Sydney. For that reason alone, he will be back on the Labor front bench in relatively short time…………………………………As a sort of spooky aside, it transpires that almost half of the guests on the ABC’s Kitchen Cabinet with Annabel Crabb have now left the arena since the show first started in 2012, posing something of a dilemma for politicians. Do they want to be seen as a dab hand at slow-cooked pork belly or do they want a political career that lasts longer than five years? I have a late finish at work today, so won’t be able to manage a Friday evening thread. Stand by, however, for a Saturday Special. You really are an idiot, Sprout. Overnight in Brussels, Foreign Minister Julie Bishop and Trade Minister Steve Ciobo were quizzed about their plans for a UK deal by several European politicians, who are still reeling from Britain’s decision to exit their organisation. The UK and Australia cannot hold formal talks until Brexit takes place but at a meeting this week in London, the two countries agreed to establish a Trade Working Group — a move Mr Martin said “was a dangerous strategy for Australia”. “[Australia] is sending such strong signals to the UK … but the EU-Australia free trade deal negotiations were pushed for by Britain, and a lot of the other countries aren’t particularly worried if it happens or not,” he said. Adam Giles is confirmed to have lost his seat of Braitling in the NT by approximately 27 votes (assuming that holds up in the compulsory recount). Willem Vestra van Holthe has lost Katherine by 28 votes as well, meaning that this is the first time since the NT parliament started in 1974 that a Labor MP has won in Katherine and probably Alice Springs too. Unfortunately Labor’s Lynne Walker appears to have lost Nhulunbuy, but only by 7 votes to an Independent. It’s close enough to go down in a challenge, but it’s likely a loss there regardless. The CLP needs something smaller than a telephone box for its caucus meetings. I wonder if MSM, at the request of the big end of town, are propping up Turdbull because they don’t want a return to Abbott. They don’t want Labor to win, they don’t want Abbott in so what is the alternative? Maybe they just have to support Turdbull. Things will get interesting. 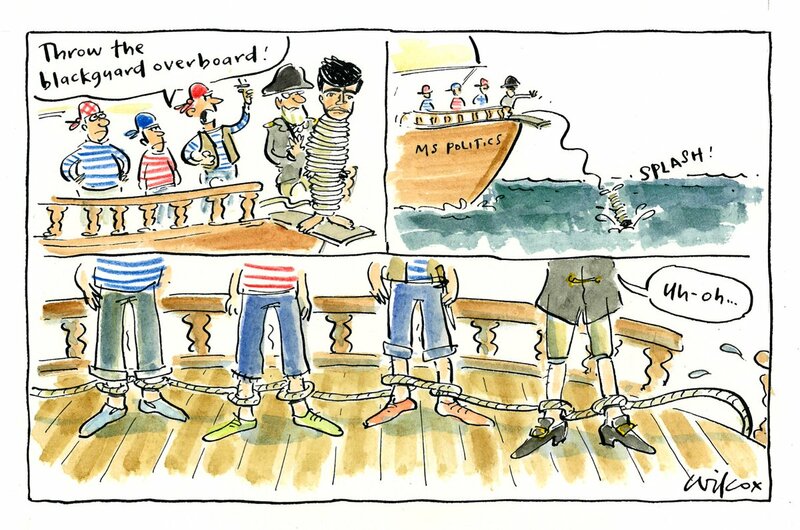 Abbott is definitely manoeuvring. When will Abbott make his challenge? Presumably it will be determined by the polls. When Turdbull gets a run of 48-52’s I reckon he’ll make his move. On another note re: Dastyari. Of course he was a goose. Sorry, but it’s already booked out – some people must prefer this to, well, iI dunno really. Burning the soles of your feet with red-hot pokers? Having root canal work without painkillers? Having bamboo stakes driven under your fingernails? I’m wondering just how many seats were available for this. Two? Four?